If you’re anything like me you need something exciting to eat on the weekend, otherwise you feel somewhat cheated out of life. For these occasions it’s handy to have a recipe up your sleeve that’s still wholesome despite being a delicious little treat. Paleo recipes are great for just that: paleo is short to paleolithic and refers to an eating lifestyle mimicking way back when humans consumed simple foods which they hunted and gathered from the wild. 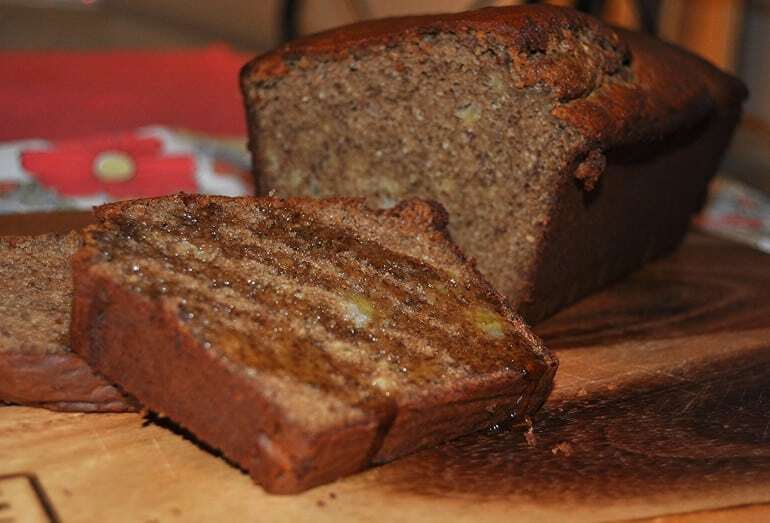 This banana bread recipe is Paleo friendly, meaning it avoids using any processed, grain-based carbs or sugar and therefore is full of yummy stuff that will leave your sweet tooth satisfied and your belly un-bloated. Hoorah! Pre heat your oven to 175c and grease & line your loaf tin. 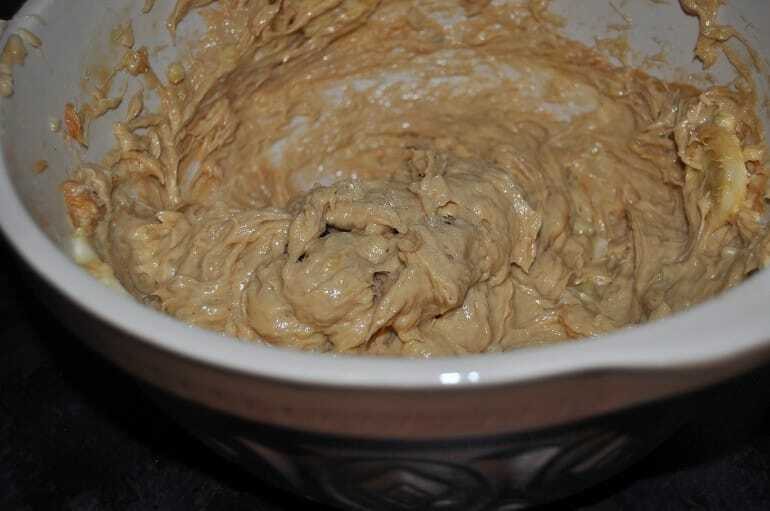 Slice your bananas into a mixing bowl and add the peanut butter and melted butter. Whisk until you have a thick (and seriously delicious) fluffy mix. I think this recipe works well if you leave a few banana chunks in the mix. Whisk in the eggs then add the honey, cinnamon, vanilla, baking powder, baking soda and salt. Finally, mix in the ground almonds. 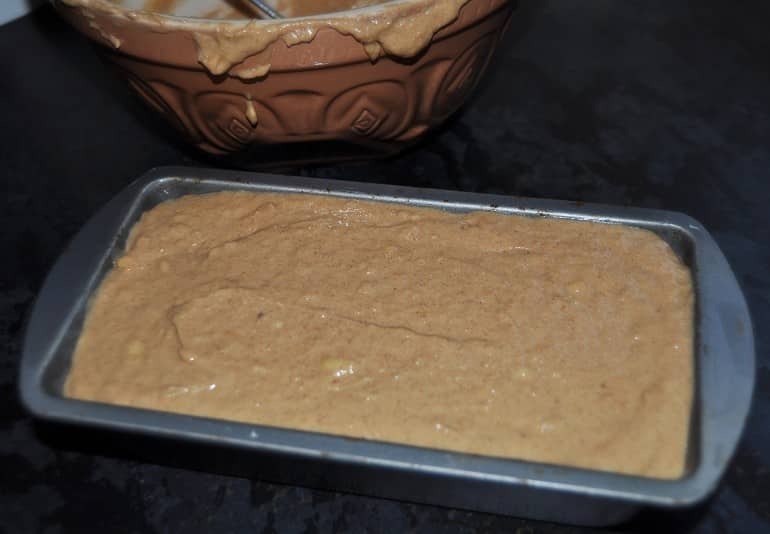 Pour the banana mix into your tin, spread evenly and bake for around 50 minutes. I’ve got to say when this is baking it smells AMAZING, which adds to the torture of it taking so long to bake! I suppose good things come to those who wait and all that. 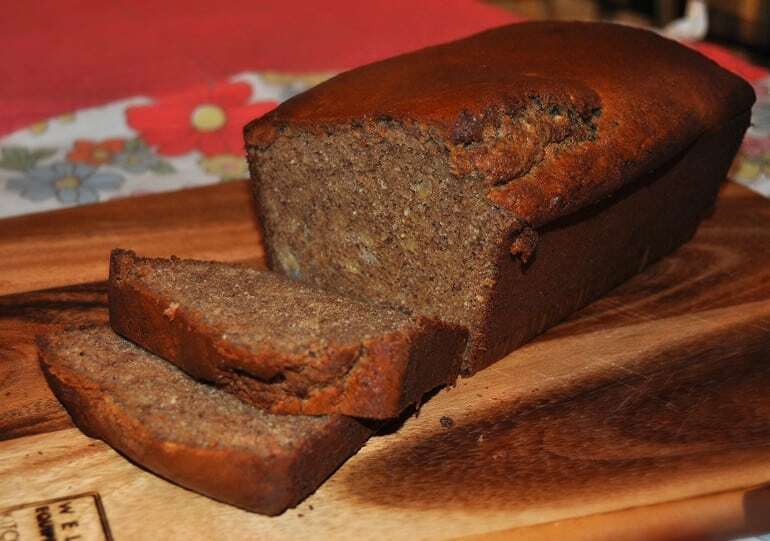 I honestly think this paleo version is better than traditional banana bread! Unlike regular flour, almond flour holds onto moisture, making your loaf perfectly moist and fluffy. It looks quite dense but it’s wonderfully light to eat whilst being full of rich, natural flavours. 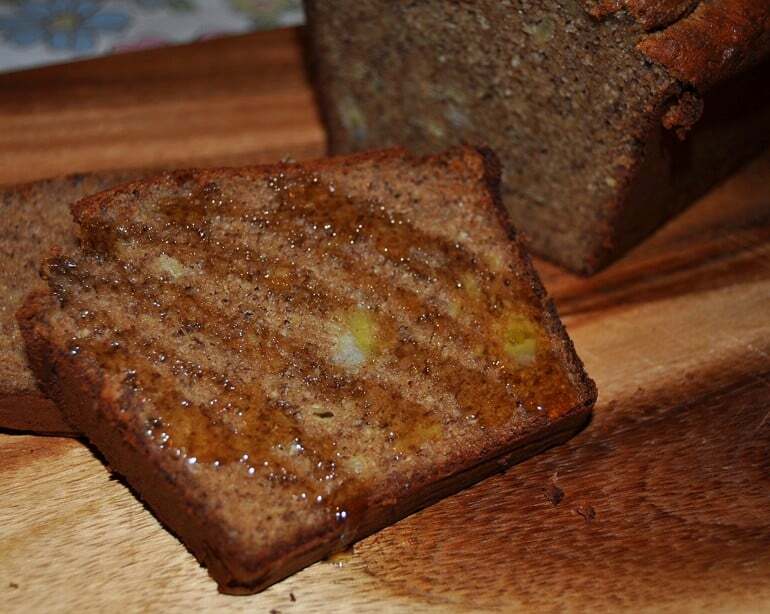 Because there is no added sugar you can sweeten up a slice with a drizzle of honey. Alternatively you can have it as a more savoury snack with peanut butter, yum! Whichever way you eat it, it makes a super delicious snack to enjoy with a cuppa, especially hot from the oven! You mention almond flour in your write up but do not mention the flour in the ingredients – how much is needed? so the bread is more moist than the muffins? such a difference between the bread and the muffins just because of the minus one egg? once peeled and mashed, how many grams do you think the three bananas are? I just realized one thing. 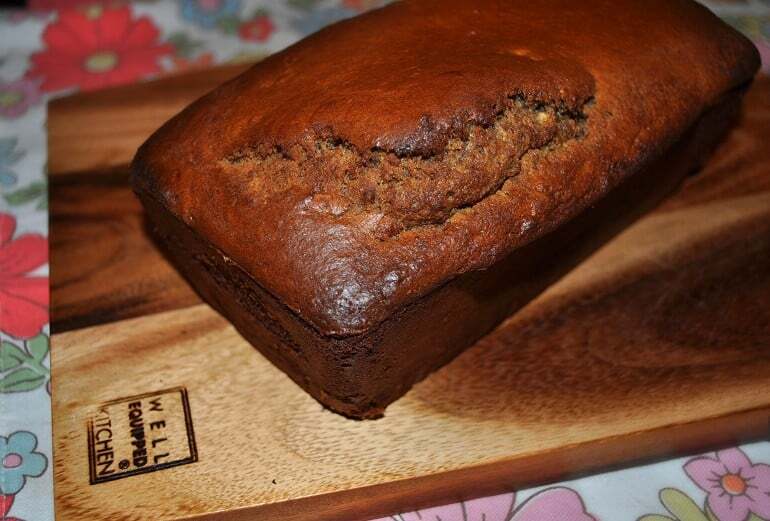 This banana bread is NOT paleo. It comes close, but peanut butter (peanuts) isn’t/aren’t paleo. Peanuts are legumes and don’t fit the strict (real) paleo diet. I am allergic to almonds. Is there something else to use? Made this today, no honey added. So so yum!